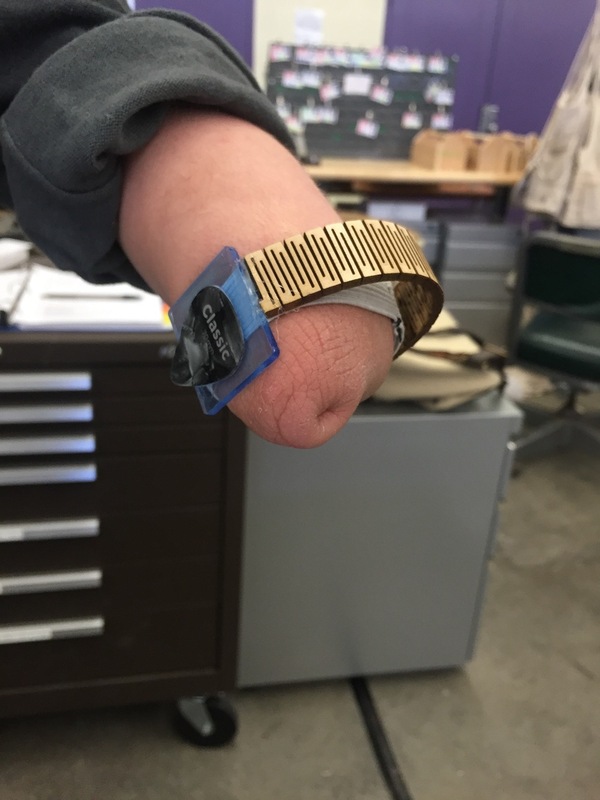 In March of 2016, I worked with Brown/RISD STEAM to put on the Assistive Tech Makeathon, a 48-hour event that began with exercises and discussions that I coordinated/designed to get participants to empathize with situations that people who have traditionally-defined disabilities face on a fairly regular basis. 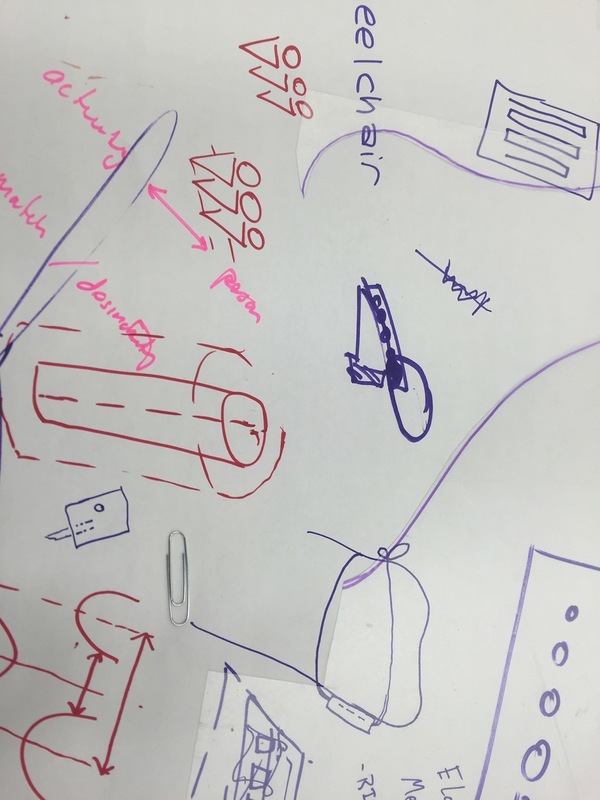 One of the key takeaways was a concept pointing back to universal design, in which non-"disabled" people recognize that assistive technology is also very relevant to them in many scenarios. A new parent holding a baby loses use of their arms, a person walking around with headphones on loses use of their ability to hear, etc. In addition to planning and running the event, I participated in the latter 40 hours in which teams formed to build solutions. 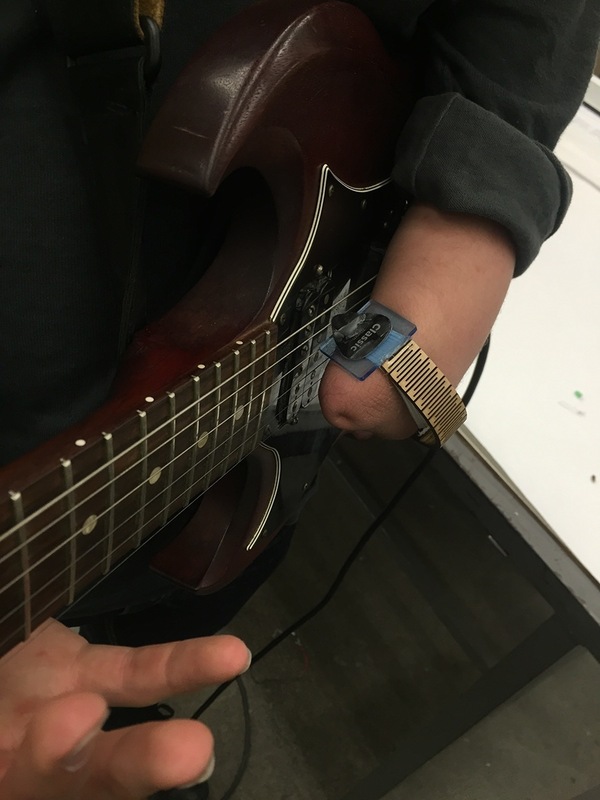 Collaborating with Clarke Waskowitz, Raina Wellman, Kasia Matlak, and Carl Romines, my project aimed to help Carl, a one-handed musician, achieve a higher level of mobility when strumming a guitar. 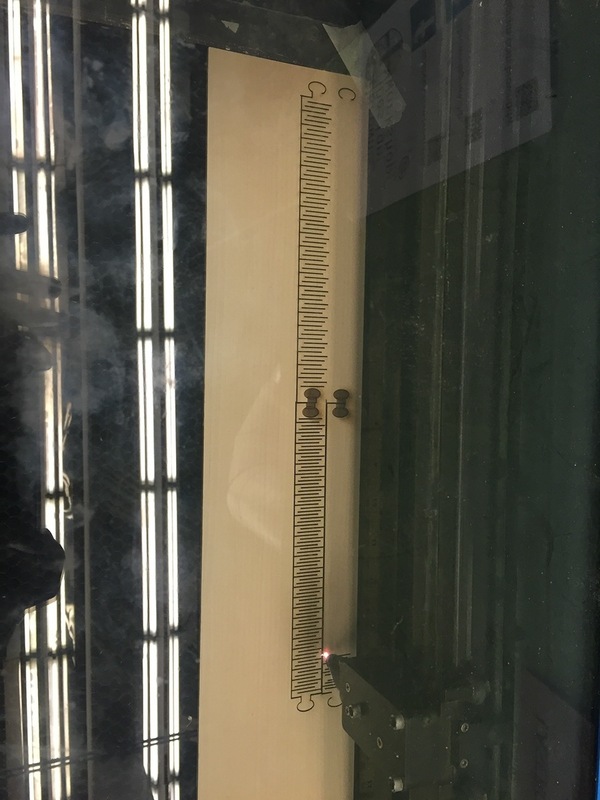 We worked iteratively, receiving feedback from Carl at every step of the process, to solve his identified issues of instability, inability to strum complex patterns at varying velocities, and general discomfort. The end product made use of the unique musculature of the end of Carl's left arm, which, despite missing a hand, could still flex very naturally in the lateral direction. The final prototype was awarded first place at the event. 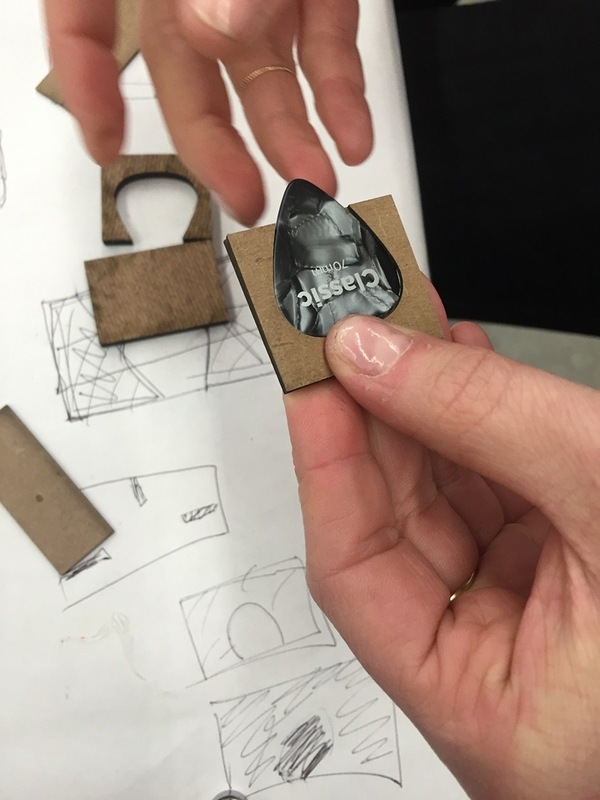 The final prototype made primary use of an elastic fabric, allowing for durability and comfort while simultaneously taking advantage of Car's natural way of playing guitar for the past 15 years. 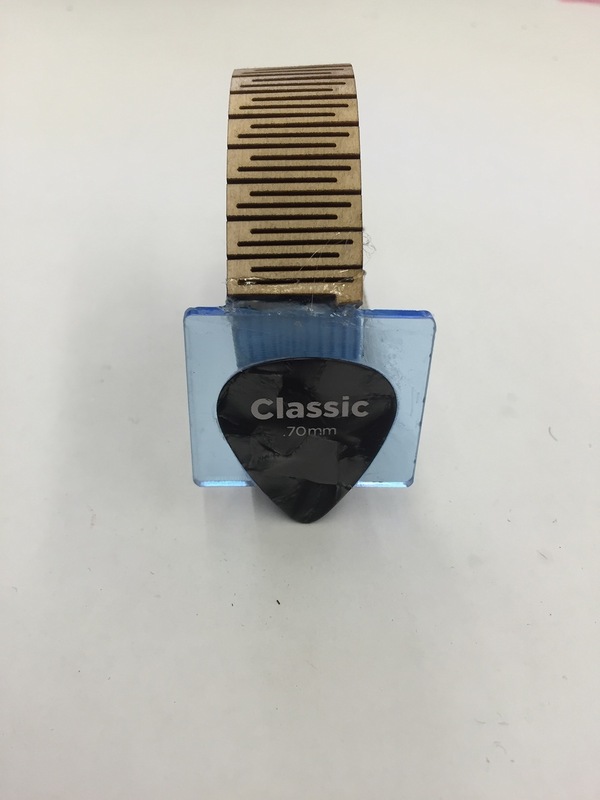 A standard guitar pick fit into a milled slot in an acrylic plate attached to the elastic, providing necessary leverage for a variety of strumming and picking techniques. The entire piece was covered with striated wood that had been laser-kerfed to bend along the contour of Carl's arm.